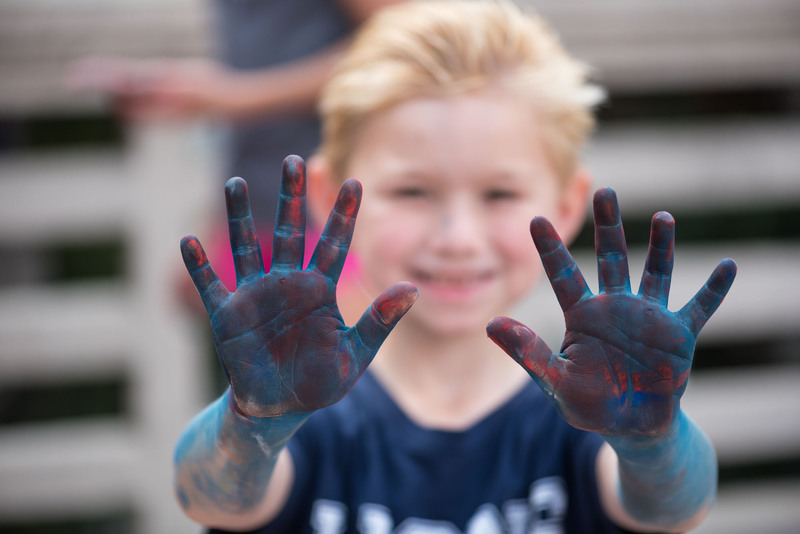 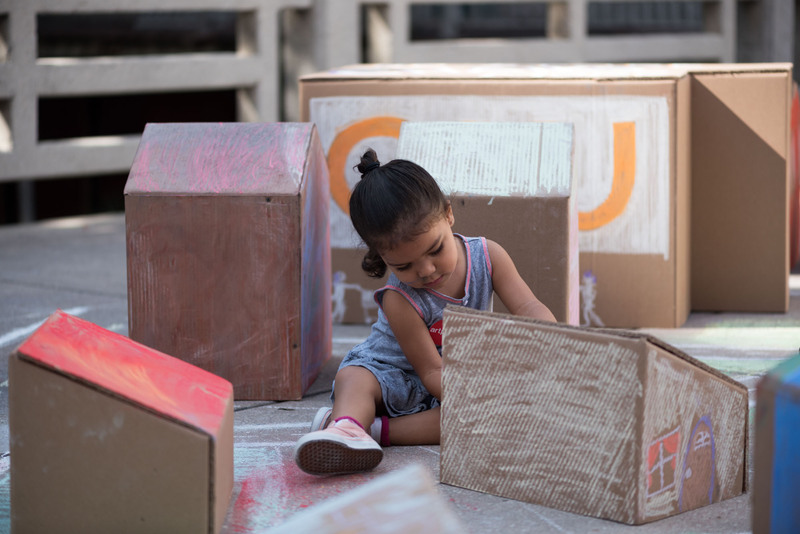 Fort building, wooden blocks, and backyard structures are fun explorations in every child’s imagination. Calcium Carbonopolis combines the fun flexible aspects of reusable materials with the practical applications of urban Planning. 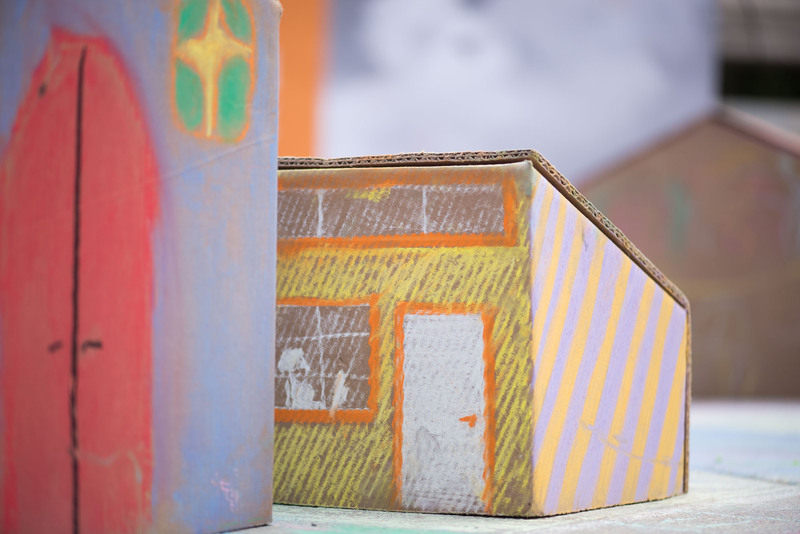 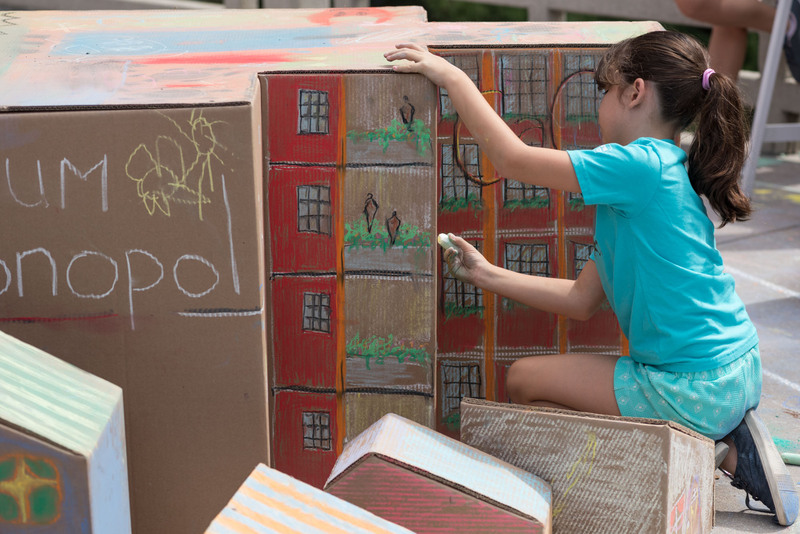 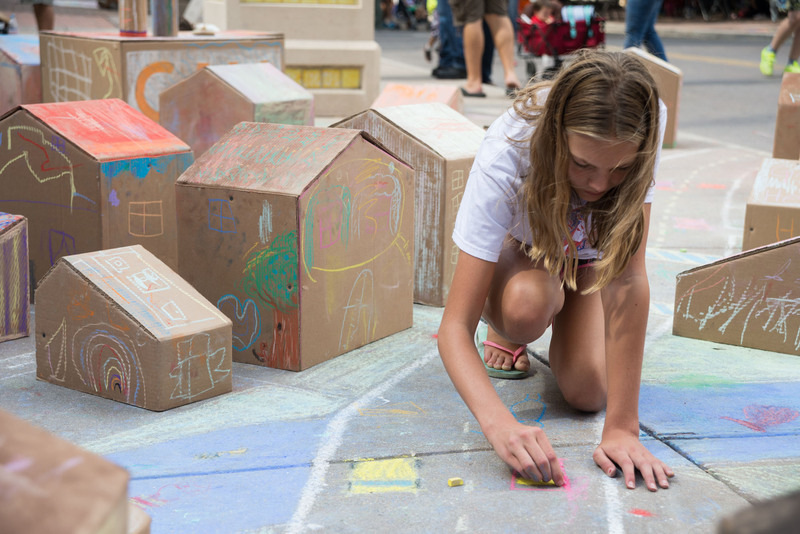 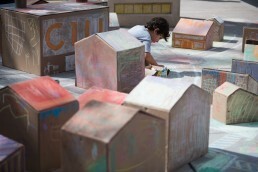 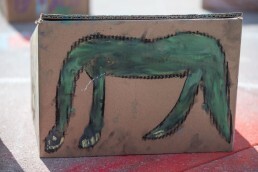 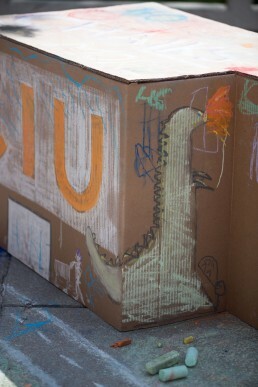 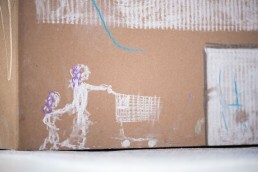 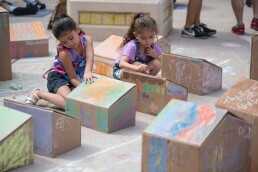 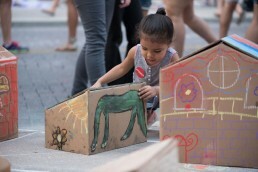 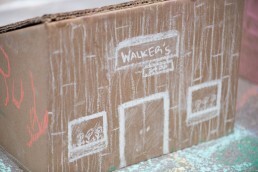 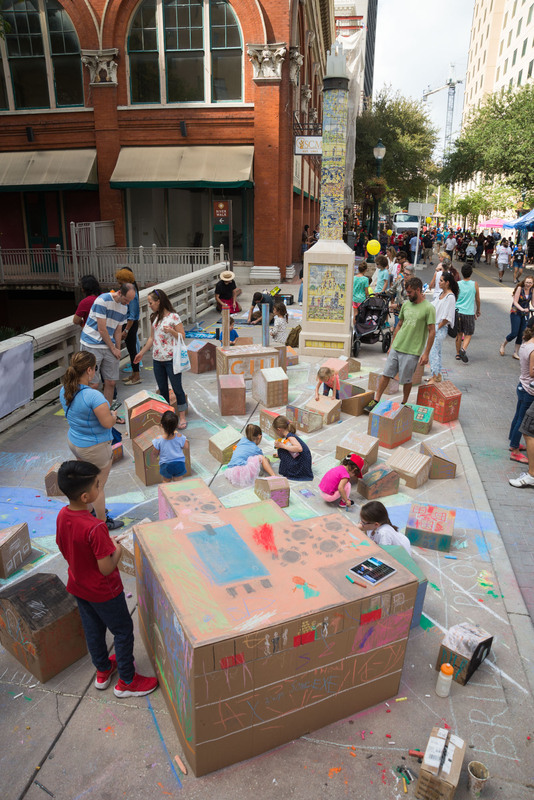 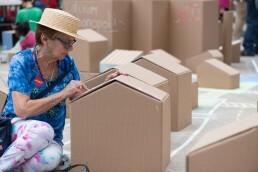 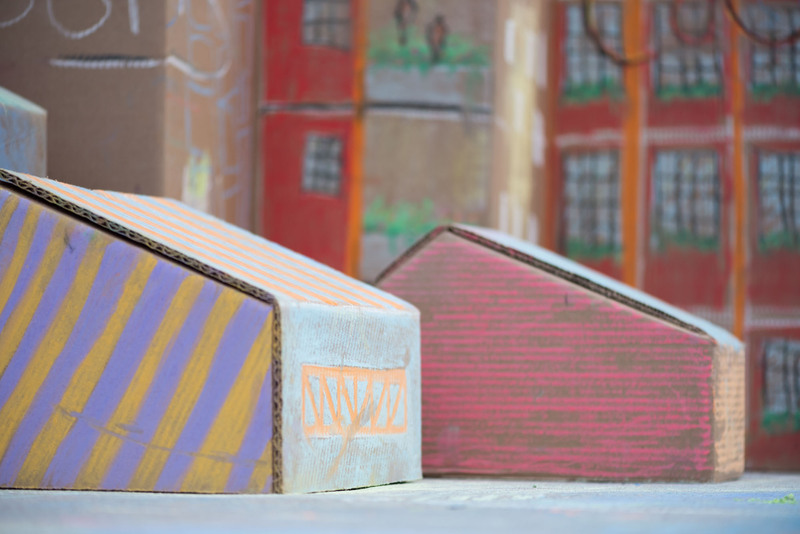 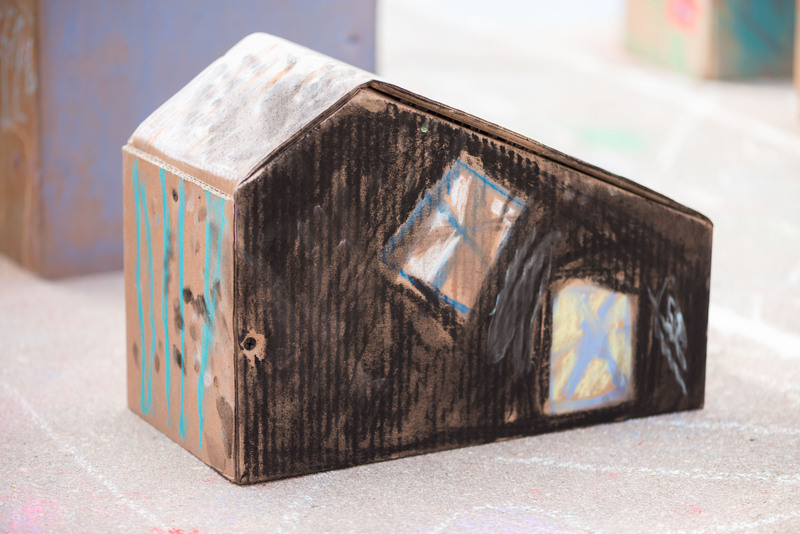 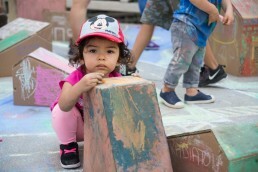 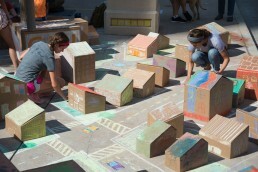 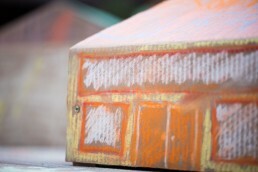 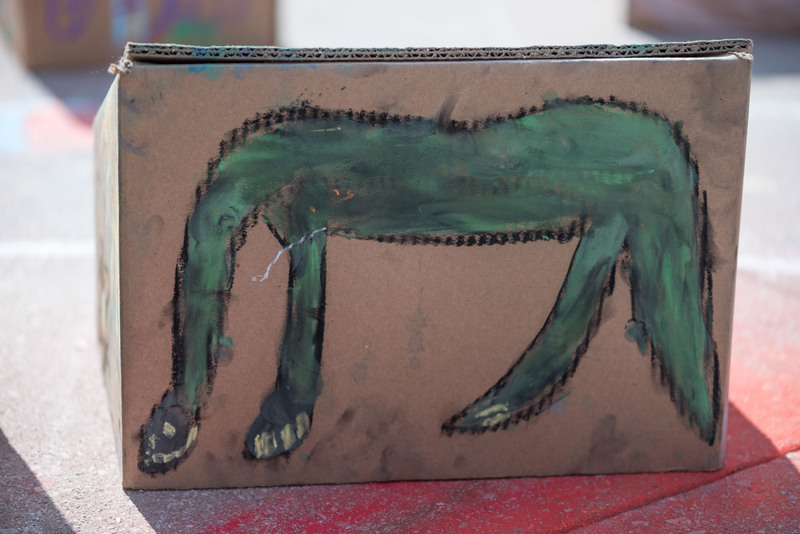 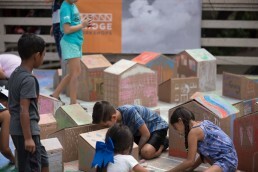 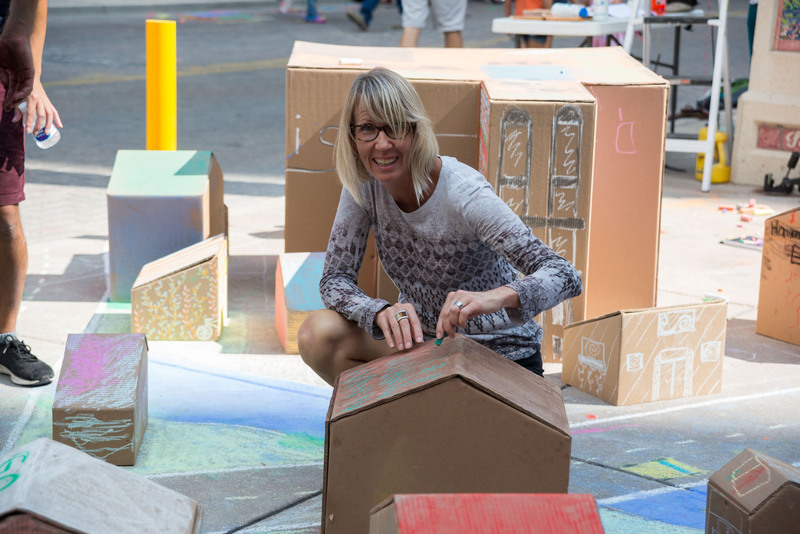 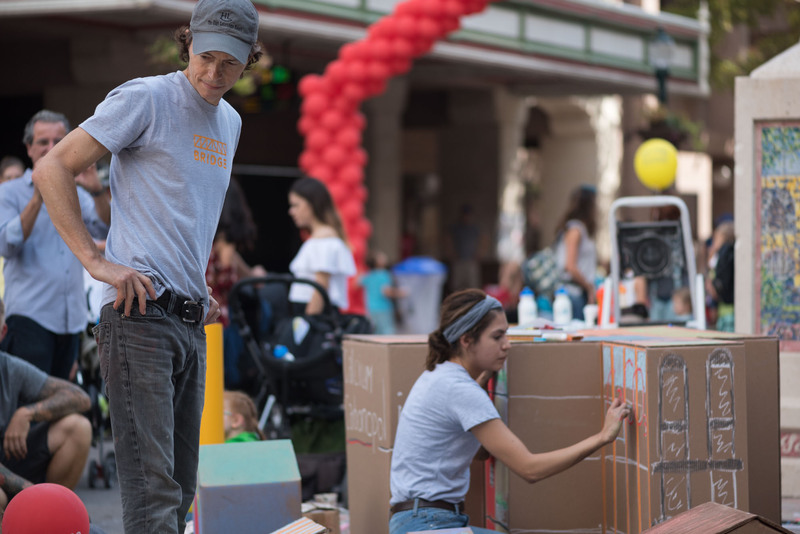 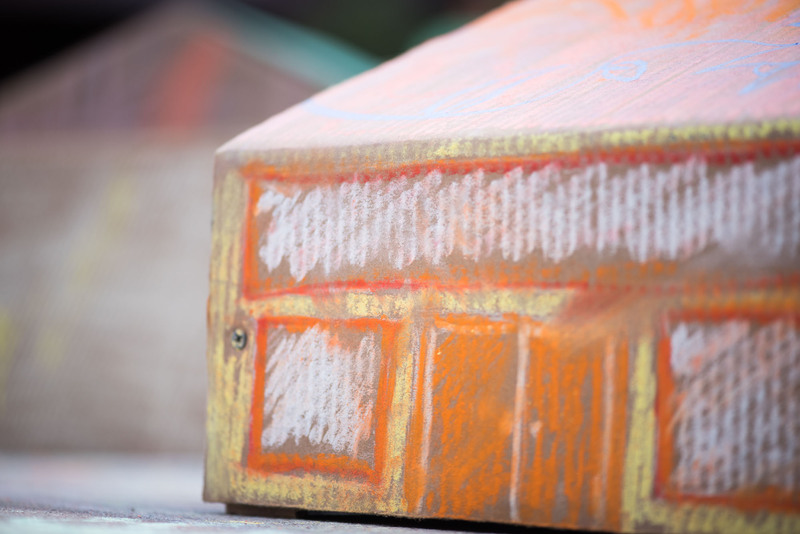 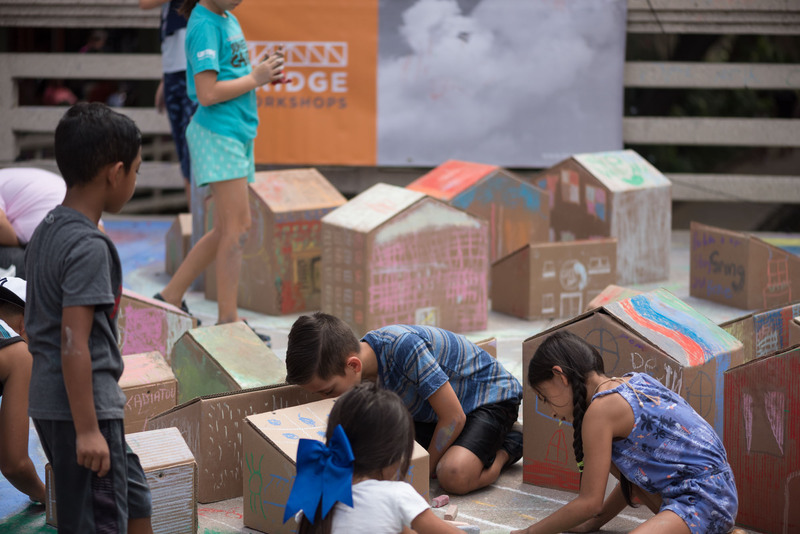 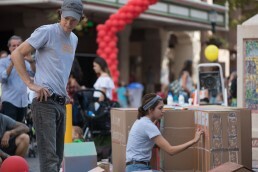 A cardboard mockup of a mixed use, San Antonio, neighborhood, Calcium Carbonopolis was installed at Artpace’s Chalk it Up in 2017. 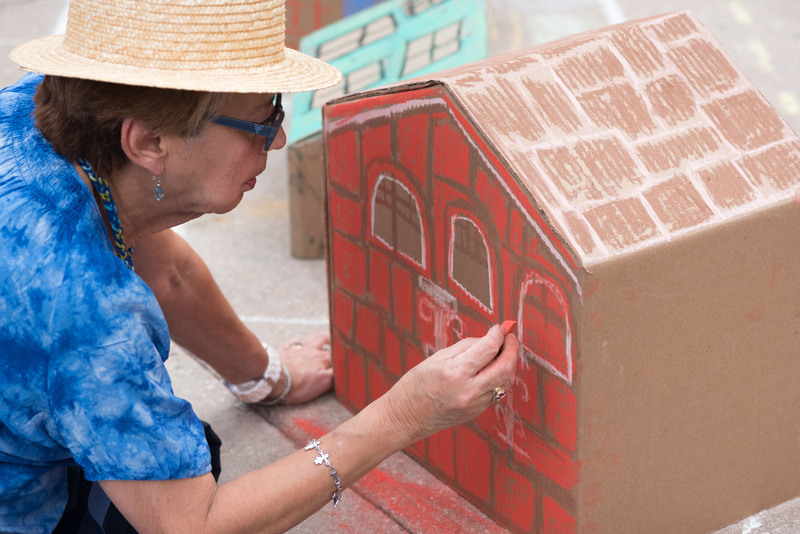 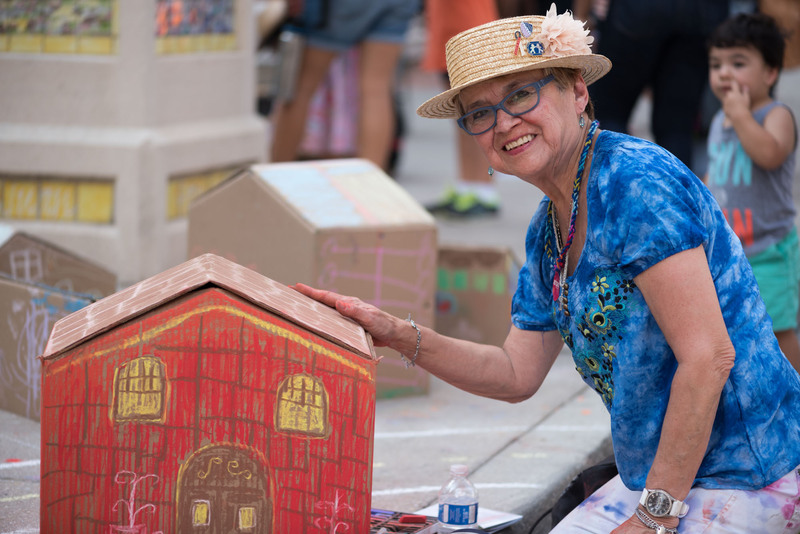 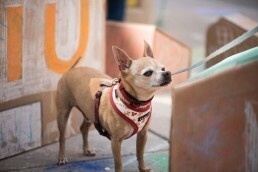 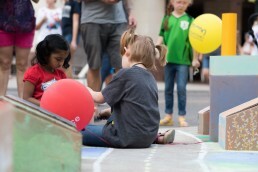 Members of the public attended this fun day to add chalk embellishments to the buildings and grounds of our miniature – mixed use – micro-core. 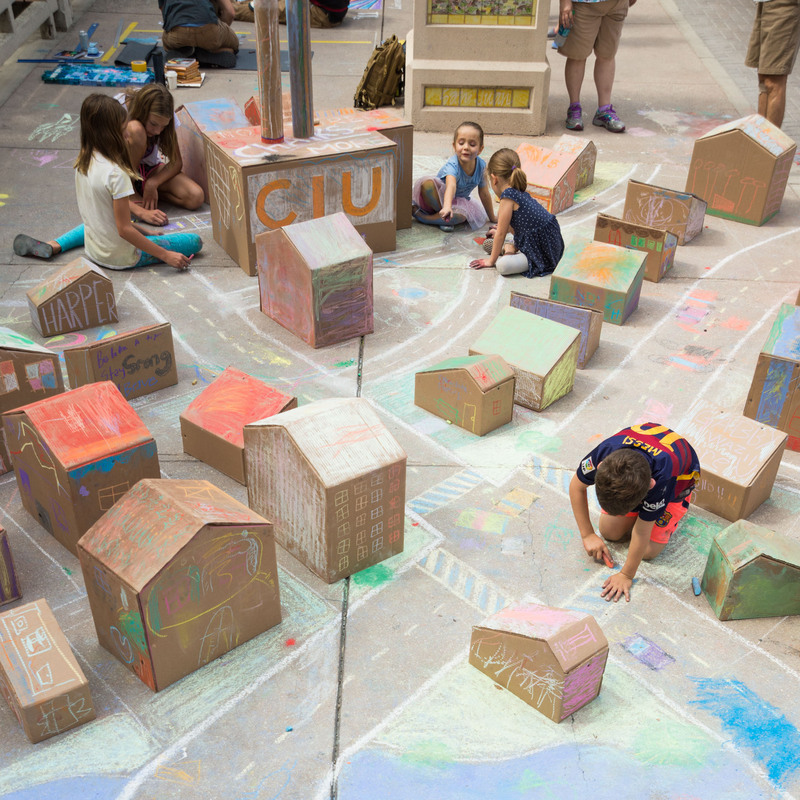 Collaborating with by Italia Aguilera of Overland Partners, Bridge Projects laid out the city plan before visitors arrived at Chalk it Up. Participants were then provided with sidewalk chalk (Calcium Carbonate – CaCO3) and pastels to adorn facades and foundations! 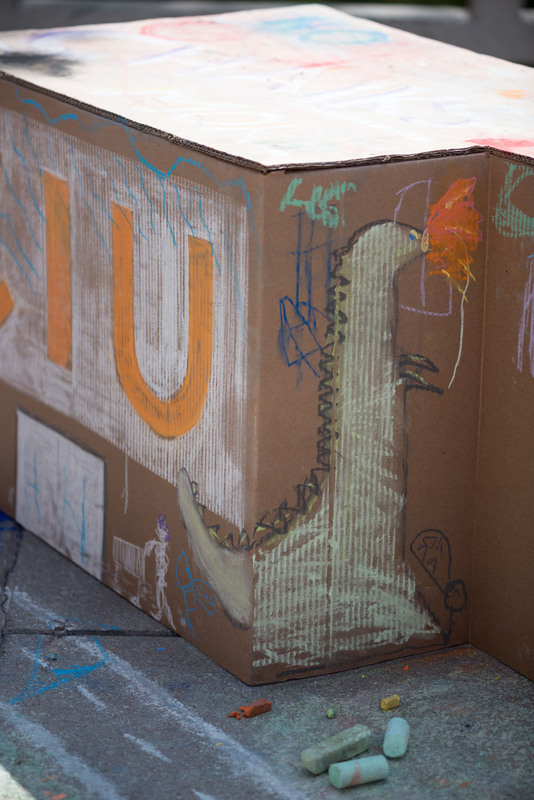 Practical objects like balconies, swimming pools, and dinner parties appeared, alongside did fantastic murals, dinosaurs, and other creative illustrations.